Rachel Matthews is determined to buy back her family's ranch at any cost... even if it means becoming a dance hall girl. When Rachel's brother hears of her new vocation, he asks his friend, John McIntyre to get Rachel out of the dance hall business. John honors his friend's request and retrieves Rachel only to find she's less than grateful. Sparks fly as John and Rachel live under the same roof and tensions mount as Rachel learns that John is the current owner of her family's land. Will John and Rachel part ways? Or is it possible that the land they quarrel over just might bring them together? 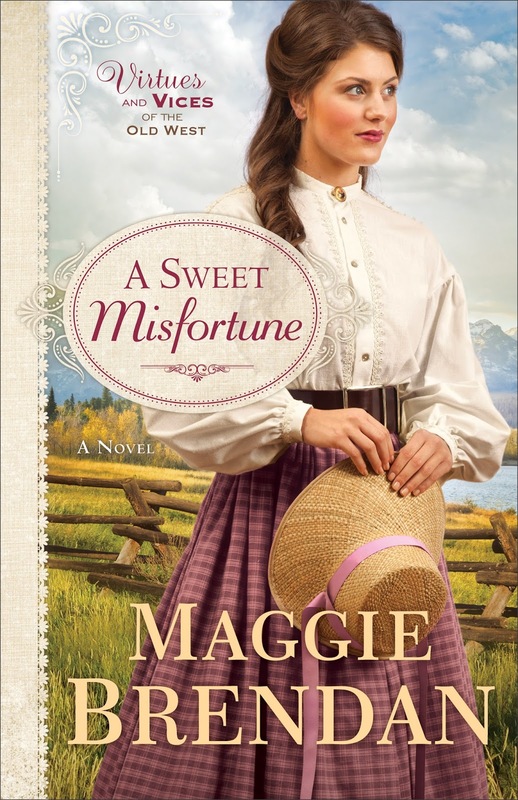 A Sweet Misfortune is the second novel in the Virtues and Vices of the Old West series by Maggie Brendan. I have not read the first story and A Sweet Misfortune worked fine as a stand-alone novel. The beginning captured my attention and created a desire to know how Rachel and John's story would play out. The desire to see how they would come together was what kept me turning the pages when certain characters annoyed me. (Rachel repeatedly explained that a dance hall girl is not necessarily a prostitute and it felt like John's grandmother, Estelle, was just a bit too perfect and understanding.) A Sweet Misfortune is a classic, inspirational love story with a steady pace and plenty of tension between the characters. Readers who enjoy Maggie Brendan's other works will likely enjoy this one as well. Read an excerpt from A Sweet Misfortune by Maggie Brendan on the publisher's website.